The African Centre for Gene Technologies (ACGT) reached out to numerous metagenomics researchers throughout the country and determined that most of their capacity-building needs were data orientated. A large number of metagenomics stakeholders generate huge amounts of data from samples derived from diverse environments. 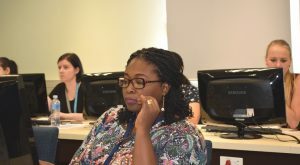 The stakeholders felt they were not getting maximum value out of vast amount of metagenomics data they have gathered due to limitations in skills to effectively analyse and interpret the data. 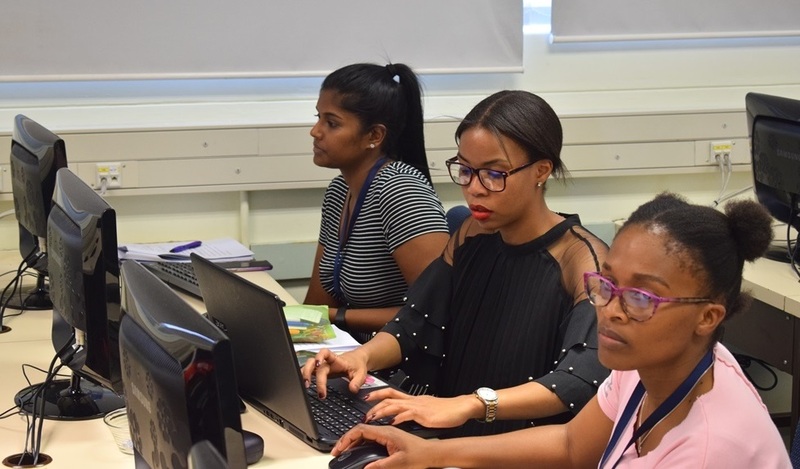 The ACGT decided to assist in addressing this issue by organizing multiple training initiatives starting with a metagenomics data visualization & data interpretation workshop. 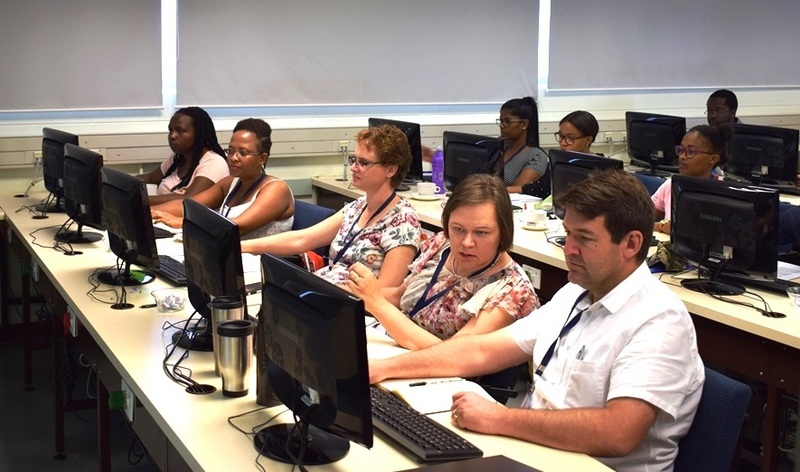 The metagenomics data visualization & data interpretation workshop ran from 12-14th November 2018 at the University of Pretoria and was facilitated by a local expert, Dr Rian Pierneef. Dr Pierneef is a bioinformatics research scientist at the Biotechnology Platform of the Agricultural Research Council. Dr Pierneef specializes in biological data analysis and has conducted numerous research studies on prokaryotes in the agricultural environment. The three-day workshop focused on using R for metagenomics data visualization. R is a programming language and free software environment for statistical computing and graphics. The R language is widely used among statisticians and data miners for developing statistical software and data analysis. The workshop started with introducing R to the workshop attendees and then proceeded to direct the attendees through the use of R packages for metagenomics analysis and data visualization. The delegates were from different research backgrounds and hailed mostly from the ACGT partner institutions; University of Pretoria, Agricultural Research Council and Council for Scientific and Industrial Research. The lectures were kept as relaxed as possible with open discussions and computer-based practical sessions. Through the interactive sessions, the attendees were able to obtain advice and assistance that was specific to their individual projects. There was a general sense from the course evaluations that the course was relevant, practical and beneficial. The ACGT and all of its partners would like to extend enormous gratitude to Dr Rian Pierneef for sharing his time and expertise with the attendees. The ACGT would also like to thank Professor Fourie Joubert and Mrs Itseng Malao for all of their assistance in organizing this event. The ACGT wishes all the participants the best of luck with applying their new earned skill to their work. Due to limited space, not all of the applicants could be hosted but the ACGT encourages those that were not placed this year to keep an eye out for future courses. For any other capacity building and networking queries, kindly contact Mr Molati Nonyane, ACGT Liaison Scientist (az.ca1555894033.pu@e1555894033nayno1555894033n.ita1555894033lom1555894033, 012 420 6139).